Large-scale sentiment sets are very popular, and we wanted to put our own Altenew spin on them! This set features a beautiful and modern font with a halftone pattern for an INSTANT one-ink gradient effect! 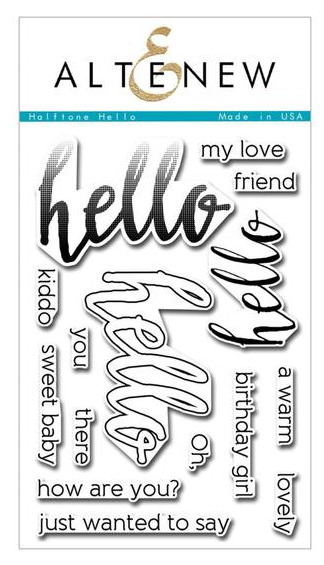 There is also a coordinating outline which you can stamp with the halftone or on its own as well as a smaller “hello” and plenty of companion sentiments. This is a 4" x 6" clear stamp set containing 15 individual stamps made in the USA from high quality photopolymer.